On December 17th U.S. President Barack Obama commuted the sentences of three Cuban spies to time served and released and returned them to Cuba. They are Antonio Guerrero, 56, a U.S. citizen; Ramón Labañino, 51; and Gerardo Hernández, 49. They were known as members of “the Cuban Five,” a Cuban spy ring in South Florida in the 1990s that infiltrated Cuban-exile groups and U.S. military installations. They, along with other members of the ring, tried to make themselves indispensable to the exile groups whose secrets they stole. One of the operatives worked at the Naval Air Station in Key West, while another worked undercover in Tampa. Once their cover was blown and federal agents smashed the ring, they were arrested and jailed on September 2, 1998. Several of its members pleaded guilty to various charges, but the Cuban Five instead went to trial, starting in November 2000 and concluding in June 20001. They were convicted on all charges and sentenced in December 2001 to long prison terms although two of them after completion of their sentences were released from prison and returned to Cuba in 2013 and 2014. Mr. Guerrero, who was born in South Florida and studied engineering in Ukraine, was originally sentenced to life plus 10 years, but later was re-sentenced to 21 years plus 10 months (262 months). 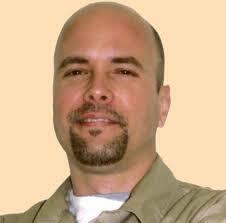 Mr. Labañino is a native of Havana who studied economics at the University of Havana. Originally sentenced to life plus 18 years, he later was resentenced to 30 years. Mr. Hernández was the only one of the group convicted of conspiracy to commit murder and sentenced to two life sentences plus 15 years. American investigators accused him of having previous knowledge of the Castro government’s plans in 1966 to shoot down two Cuba-exile organization private planes that regularly flew missions from the U.S. near Cuba, killing four anti-Castro volunteers. A fuller understanding of the Cuban Five and the recent release of the three Cuban men from U.S. prison requires an examination of (a) the events that precipitated the downing of the two planes; (b) the actions of the Cuban Five relating to those events; (c) the long, complicated history of their criminal case in U.S. federal courts; and (d) reactions to the commutation of the three men’s sentences and their release from U.S. prison and return to Cuba. In 1994 a BTTR flight flew near the Cuban coast with a television reporter who filmed Cuban military fighter jets circling, but not firing at the BTTR plane. Later in 1994, another BTTR plane flew over Cuba near Guantanamo Bay and dropped BTTR bumper stickers, and again Cuba did not fire at the plane. Immediately afterwards the Cuban Government complained to the U.S. FAA and requested action to prevent violations of Cuban sovereignty and stated, “Any craft proceeding from the exterior that invades by force our sovereign waters could be sunk and any aircraft downed.” In response the U.S. State Department reiterated its warning that U.S. planes should not violate Cuban airspace and quoted the Cuban warning. On February 24, 1996, three light civilian U.S. planes that were operated by BTTR flew from Miami to Havana. All three at one time were in international airspace close to Cuba’s territorial waters. One of them clearly flew into Cuban airspace, but was not shot down. The other two civilian planes were shot down by Cuban MIG fighters, killing three Cuban-American citizens and one non-U.S. citizen. Cuba defended its actions by contending that the planes were shot down within the territorial limits of Cuba whereas the U.S alleged that the downings had occurred over international airspace. According to one of the judges in the latest 11th Circuit opinion, these two planes did not enter Cuban airspace and were shot down in international airspace, 4.8 and 9.5 miles (land miles or nautical miles?] from Cuban airspace. In any event, the two planes that were shot down were at least very close to Cuban airspace after a history of such planes entering Cuban airspace and dropping leaflets and medals and potentially dropping bombs. On December 17, 1997, a U.S. district court entered a default judgment against Cuba for $187 million for the deaths of three of the four pilots. The Cuban Five were not directly involved in any of the above incidents. They did not shoot down the private plane on February 24, 1996. They were not in any of the Cuban MIG fighter jets that were involved in that incident. The 11th Circuit also stated that the trial evidence established that the mission of one of the Wasp Network’s operations, known as Operation Escorpion, was to stop flights to Cuba by BTRR. According to the Cuban Government, the Cuban Five are patriots and Heroes of the Cuban Revolution who were acting to save American and Cuban lives from terrorists operating in Miami and to defend Cuba from attacks from the U.S.
What Happened in the U.S. Criminal Process? In September 1998, the Cuban Five were arrested in Miami. A federal grand jury in Miami indicted them on charges of conspiracy to commit murder (of the four pilots); conspiracy to commit espionage; conspiracy to commit crimes against the U.S.; use of false identity and documentation; and being unregistered agents of a foreign government. Each of them then spent 17 months in solitary confinement before trial. In November 2000, the trial of the Cuban Five started in federal court in Miami. During the course of pre-trial proceedings the defense made five unsuccessful motions to change venue to move the trial away from Miami because of intense public hostility towards the Cuban Five. In June 2001 the trial ended in Miami federal court with a jury verdict holding the Cuban Five guilty on all counts. As none of the Cuban Five had been directly involved in shooting down the airplane in 1996, the key legal issue on the conspiracy to commit murder of three men who died in the airplane’s crash was the U.S. legal principle of conspiracy. Under U.S. law (U.S.C. sec. 1117), “If two or more persons conspire to [murder], and one or more of such persons do any overt act to effect the object of the conspiracy, each shall be punished by imprisonment for any term of years or for life.” In simple terms, the overt act of shooting down the plane is attributed or imputed to all members of the conspiracy even though some were not directly involved in that act. In August 2005, a three-judge panel of the U.S. Circuit Court of Appeals for the Eleventh Circuit in Atlanta unanimously reversed the convictions on the ground that is was reversible error for the trial court to deny the motions for change of venue out of Miami. On June 4, 2008, that three-judge panel of the 11th Circuit resolved these issues in 99 pages of opinions. With one exception, the panel unanimously rejected all of the Five’s arguments on the merits. The exception was the sufficiency of the evidence for the conviction of Hernandez for conspiracy to commit murder, where the decision to affirm the conviction was 2 to 1. The dissenter concluded that there was insufficient evidence for this charge because the Government had not proved beyond a reasonable doubt that he had agreed to have another agent shoot down a BTTR plane in international airspace, which is illegal, as opposed to shooting down a plane in Cuban airspace, which is legal. Another judge conceded that this issue was very close. The three-judge court also vacated the sentences of three of the Five and remanded the case forresentencing, presumably for shorter periods. The three are Labañino and Guerrero who had been sentenced to life imprisonment and Gonzalez who had received a 19 years sentence. On September 2, 2008, the 11th Circuit denied the Five’s petition for rehearing and rehearing en banc (the entire 11th Circuit). On June 15, 2009, the U.S. Supreme Court denied their petition for review (denial of certiorari). On October 13, 2009, the district court reduced the sentence of Guerrero, under an agreement between the defendant and the prosecution, from life to 262 months. 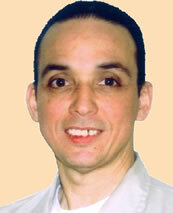 On December 8, 2009, the district court reduced the sentence of Labañino from life to 30 years. 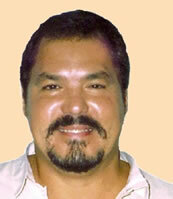 On that same date (December 8, 2009), the sentence of Gonzalez was reduced from 19 years to 18 years. Gonzalez subsequently completed his sentence and was returned to Cuba. Afterwards the three had a joyous reunion with their previously released fellow Cuban Five members. Members of the Cuban-exile community in Florida reportedly were most upset with the release of Hernandez. Given his conviction for conspiracy to murder and his double life sentence plus 15 years, that reaction is understandable. On the other hand, he personally did not shoot down the two BTTR planes causing the death of their occupants and was not personally involved in any other way in that incident. In addition, as at least one U.S. judge observed, there was evidence that Hernandez did not understand or agree that the Cuban air force would shoot down a BTTR plane in international air space, which is illegal, as opposed to shooting down such a plane if it entered Cuban air space, which is legal. Moreover, Cuba had protested the prior BTTR flights to the U.S. authorities and asked the U.S. to stop such flights. Finally Hernandez had been in U.S. jail and prison for over 16 years, which is a significant punishment. Therefore, it should be possible to understand that he is not as evil as suggested by his being labeled as a convicted murderer or as a convicted murder conspirator. The other two–Guerrero and Labañino–after 16 years in jail and prison were nearing the end of their sentences, and the commutation of their sentences to time served seemed to be less controversial to the Cuban-exile community in Florida. They already had served their sentences in substantial part. For this blogger, I see the commutation of the sentences of Hernandez and the other two Cubans and their release from U.S. prison and return to Cuba as the price that had to be paid by the U.S. in order to obtain Cuba’s simultaneous release of the U.S. spy from Cuban prison. He was Rolando Sarraff Trujillo, a Cuban who was a cryptologist in Cuba’s Directorate of Intelligence. He had provided U.S. officials with the codes being used by the Cuban Five and the other members of the Wasp Network that lead to their being arrested in 1998. (Mazzetti, Schmidt & Robles, Crucial Spy in Cuba Paid a Heavy Cold War Price, N.Y. Times (Dec. 18, 2014); Assoc. Press, Spy’s Parents Search for Son After Cuba-U.S. Deal, N.Y. Times (Dec. 18, 2014).) Supposedly unrelated was Cuba’s simultaneous release of U.S. citizen Alan Gross. Obtaining Cuba’s releases of these prisoners and achieving the overall U.S.-Cuba agreement to normalize diplomatic relations and to start resolving the many bilateral issues that have accumulated over the last fifty-plus years are significant. These benefits alone, in my judgment, justify the commutations and releases of the last three of the Cuban Five. Moreover, the previous discussion of the precipitating circumstances to the downing of the two BTTR planes and the deaths of their four occupants should help us see the Cuban perspective. The island was being threatened by previous BTTR flights and had raised legitimate complaints to U.S. authorities about those flights, all to no avail. As a result, the Cuban government was left to its own devices to protect itself, including trying to obtain information about future BTTR flights with the Wasp Network investigations of the BTTR in Florida. Moreover, the exact location of the planes when they were shot down was disputed with the Cubans asserting it was in Cuban territorial air space, which was legal. These considerations, in my opinion, provide additional reasons justifying the U.S. commutations and releases. As a retired lawyer whose practice involved extensive experience in litigating civil cases in U.S. federal courts, I have a general respect for those courts and the U.S. civil and criminal judicial procedures, and the prior discussion of the Cuban Five´s case in those courts convinces me that the Five had competent and dedicated defense lawyers. I have not attempted a review of the extensive trial record in order to reach my own conclusions on the legitimacy of the many complaints raised about that trial by the Cuban Five support network, by the U.N. Working Group on Arbitrary Detentions and by the amicus curiae briefs submitted to the U.S. Supreme Court from Nobel laureates, international human rights groups and a former U.N. High Commissioner for Human Rights and President of Ireland, Mary Robinson. Nevertheless, the mere existence of those complaints and concerns, without investigating or conceding their merits, are other factors that support, in my judgment, the commutations and releases of the three Cubans by eliminating these international and domestic irritants. Slip Opinions at 84-90, United States v. Campa, 529 F.3d 980 (11th Cir. June 4, 2008) (J. Kravitch, concurring and dissenting). Rohter, Exiles Say Cuba Downed 2 Planes and Clinton Expresses Outrage, N.Y. Times, Feb. 25, 1996. Rohter, Exiles Say Cuba Downed 2 Planes and Clinton Expresses Outrage, N.Y. Times, Feb. 25, 1996; Rohter, Cuba Blames U.S. in Downing of Planes, N. Y. Times, Feb. 27, 1996; Crossette, U.S. Says Cubans Knew They Fired on Civilian Planes, N. Y. Times, Feb. 28, 1996; Crossette, Cuba, Citing Earlier Intrusions, Defends Downing of 2 Cessnas, N. Y. Times, March 7, 1996. Slip Opinions at 90, United States v. Campa, No. 01-17176 (11th Cir. June 4, 2008) (J. Kravitch, concurring and dissenting), http://www.ca11.uscourts.gov/opinions/ops/200117176.opn3.pdf. Navarro, U.S. Judge Assesses Cuba $187 Million in Deaths of 4 Pilots, N. Y. Times, Dec. 18, 1997. Slip Opinions at 3-6, United States v. Campa, No. 01-17176 (11th Cir. June 4, 2008), http://www.ca11.uscourts.gov/opinions/ops/200117176.opn3.pdf. E.g., Cuban Five, http://en.wikipedia.org/wiki/Cuban_Five; The incredible story of five men imprisoned in the United States for fighting terrorism, Judtyicia/Justice. Id. ; Atlanta and the Cuban Five: A Long March Towards Justice at 1-31 (Editora Politica: Havana, 2005)[“Atlanta“]; Fernandez, United States vs. The Cuban Five: a judicial cover-up at 1-134 (Editorial Capitan San Luis: Havana 2006)[“Fernandez“]; The Perfect Storm: The Case of the Cuban Five at 85-108 (Editora Politica: Havana, 2005) [“Storm“]. Id. ; Atlanta at 32-51; Fernandez at 135-82; Storm at 108-09, 149-63. United States v. Campa, 419 F.3d 1219 (11th Cir. 2005) (No. 01-17176), vacated & ordered to be heard en banc, 429 F.3d 1011 (11th Cir. 2005). Slip Opinions at 4, 6-63, 84, United States v. Campa, No. 01-17176 (11th Cir. June 4, 2008), http://www.ca11.uscourts.gov/opinions/ops/200117176.opn3.pdf. Slip Opinions at 83-99, United States v. Campa, No. 01-17176 (11th Cir. June 4, 2008), http://www.ca11.uscourts.gov/opinions/ops/200117176.opn3.pdf. Slip Opinions at 63-82, United States v. Campa, No. 01-17176 (11th Cir. June 4, 2008), http://www.ca11.uscourts.gov/opinions/ops/200117176.opn3.pdf. Campa v. United States, No. 08-987 (U.S. Sup. Ct. June 15, 2009). Anderson, Deal gives man accused in Cuban Five spy case reduced sentence, Miami Herald, Oct. 10, 2009; Urbina, Judge Reduces Sentence for One of Cuban Five, N.Y. Times, Oct. 13, 2009, ; Anderson, Cubans get reduced sentences for spying in US, Washington Post, Dec. 8, 2009; BBC News, US cuts Cuban spies’ jail terms, Dec. 12, 2009. Statement by Antonio, Rámon and Fernando: We will continue until the final victory, Granma (Dec. 9, 2009); The U. S. administration was forced to recognize that we did not endanger national security, Granma (Dec. 9, 2009).